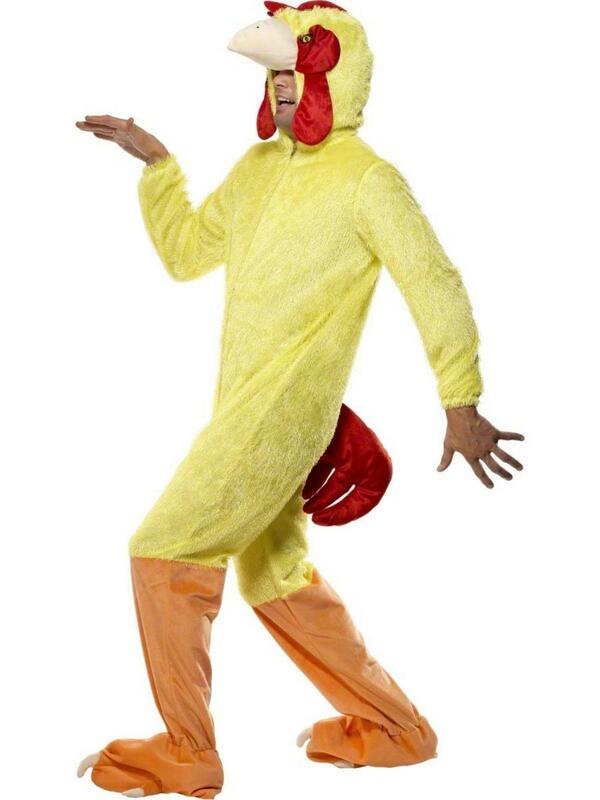 Pluck up the courage to dance the funky chicken in style at a fancy dress party with this Chicken fancy dress costume which is sure to have friends and fellow party goers laughing. 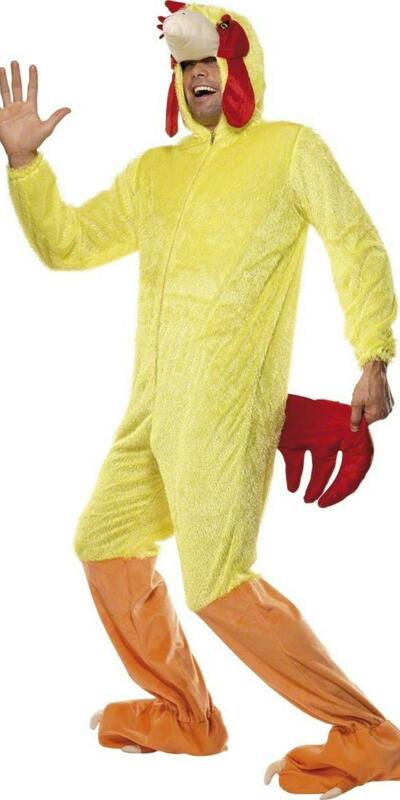 Included is a bright yellow one piece jumpsuit styled with an attached orange tail and oversized orange feet and an attached hood styled with the Chicken's face and an attached beak. You'll be ruling the roost at any animal themed fancy dress party or an Adults world book day event. Attached hood with Chicken's face and attached beak.